This text book addresses the pathway to reach sustainability in fashion business and apparel sectors. This book contains various research papers originally contributed by different authors from various organizations who are all working towards the eco-friendly manufacturing of apparel products. The textbook provides approaches, techniques, alternative procedures/sustainable routes to develop sustainable apparel in more environment friendly manner for the future. 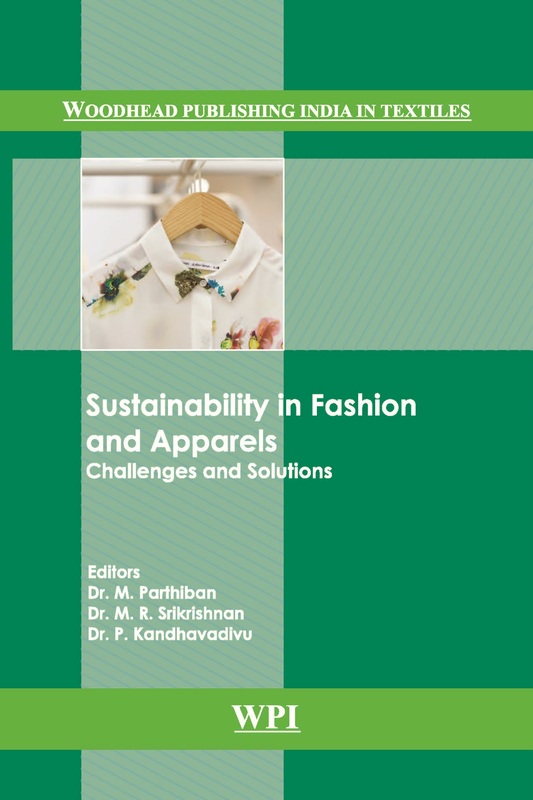 The research papers discussed in this book mainly focuses on the various challenges put-forth by the apparel industry with respect to environment friendly product manufacturing and also provides solutions to achieve the same through different principles and approaches which fulfills the production, user and disposal ecological considerations. The book will be really useful for the academicians, industry personnel and mainly to the textile and apparel students and scholars who wish to explore their knowledge and innovations in the field of sustainable apparel product manufacturing and processes.